The best height for a dog food bowl for a small dog ranges from 2 to 6 inches. The height for a medium dog is suggested to be at a height between 7 and 14 inches. A good height for a large dog is between 15 and 20 inches. An extra large dog will do best with a food bowl at a height ranging from 21 to 27 inches. Hide and Seek - If your dog knows the command 'STAY' walk in one room and give him the command, then go and hide in another room and call him or yell out whatever word he knows is his command to get out of stay. Once you play a round or two your dog will understand the game and will really get excited about this new winter game! Play Date - If you really don't want to play Hide and Seek or Obstacle Course you could always call a friend with a dog and invite the two of them over. Dogs love play dates as much as children do! WISHBONES TIPS- JANUARY 2018- THIS MONTH LETS TALK ABOUT PET THERAPY ! 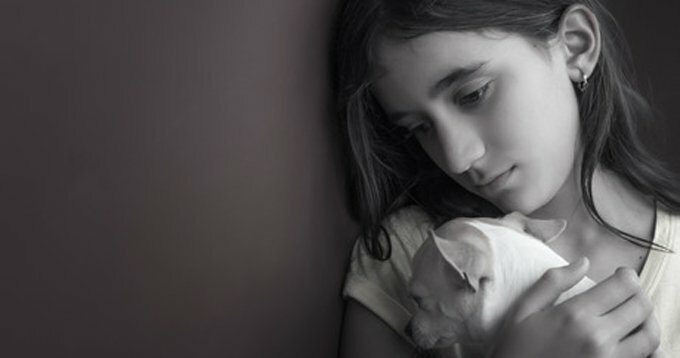 PET THERAPY OR ANIMAL ASSISTED THERAPY IS A GROWING FIELD THAT USES DOGS, CATS OR OTHER ANIMALS TO HELP PEOPLE COPE WITH HEALTH PROBLEMS LIKE HEART DISEASE, CANCER AND MENTAL HEALTH DISORDERS. ANIMALS CAN ALSO HELP RELIEVE STRESS AND BEGIN THE HEALING PROCESS WHEN HUMANS ARE RECOVERING FROM SURGERY OR A CHRONIC ILLNESS. ANIMALS HELP HUMANS BY PROVIDING A NICE SOFT HEAD TO PAT OR A CHIN TO SCRATCH. HUMANS HELP ANIMALS BY PROVIDING FOOD AND WATER AND A WARM PLACE TO STAY. THE ACT OF PETTING PRODUCES AN AUTOMATIC RELAXATION RESPONSE, REDUCING THE AMOUNT OF MEDICATION SOME FOLKS NEED. 1. A dog's eyes can inform you that a dog is feeling scared, aggressive or even ill.
2. A dog's posture tells you a lot about what he is thinking, often they try to make themselves tall or small based on what they are feeling. 3. A dog's hair is a sign of body language, a perfect example is when a dog "raises his hackles". 4. The action of a dog's tail will tell you a lot but of course that depends on the breed of dog and their particular type of tail. 5. Again depending on the breed of the dog, a dog uses their ears to express what they are thinking. Spring Mowing Tips...Wishbone likes a nice grassy lawn to play (sleep) in. Dull mower blades increase fuel use by up to 20% and shred the tips of grass blades. At the start of the season, consider taking your mower in for a tune up and blade sharpening. Grass blades are mostly water and nutrients. Leaving cut blades in place lowers fertilizer needs. Wishbone would like to remind you that there are 2 easy solutions to 2 common lawn care problems. First, you need good equipment and the only place to get very best lawn mowers is at Brodner Equipment of course. Second, and this one is for people who prefer not to deal with their lawns...John Welch Enterprise Inc. will take care of ALL your lawn care needs including mowing! 1. Pick a calm day. But if you napped through the calm day and now you have to rake on a windy day, rake in the same direction the wind is blowing which is, hopefully, into the neighbor's yard. 2. Nap. Nap. And Nap. Seriously. Wait until all the leaves are down. Repetitive napping? Yes. Repetitive work? No. 3. To avoid backache do some stretching exercises first. If that tires you out take a nap. 4. Buy a mulching mower. Seriously, why do you people do this to yourselves?? Expose your pet (best friend) to your costume before Halloween and if it makes them upset reconsider the costume (if you choose to go as Wishbone you won't have any problems, just sayin). If you plan to dress up your pet (best friend) definitely try it out ahead of time. Never force a costume if it makes your pet uncomfortable. If your docile pet (best friend) agrees to a costume be sure it doesn't impede their ability to move, see or hear. That would just be rude. Chocolate and certain types of candy are toxic to both cats and dogs. Decorations can be a hazard, avoid loose and dangling decorations. "It would be a criminal offense to go on vacation and...I can't even say it...okay I'll say it...not bring your pet. WHAT?! I know. But there are some vacations that the human population seems to believe we cannot accompany them on. #$@&%*! That means...nevermind. So anyway, once you decide definitively not to take your pet, and how dare you, here are some tips about...I can't even say it...okay I'll say it...leaving your pet behind. WHAT?! I know." Option Two: (not recommended) Arrange for a responsible friend or relative to look after us. Make sure they have your cell phone number, the name and telephone number of our veterinarian and our medical and/or dietary needs. Option Three: (not recommended) Hire a pet sitter. Interview the candidates and check their references. Option Four: (not recommeded) Board us at a kennel. Get references and personally inspect the kennel. There are many foods on the DO NOT FEED TO YOUR PET list according to the ASPCA and Wishbone. As tempting as it may be, as much as your pet begs, it is not worth the risk when it comes to certain foods that are known to be bad for your pet. Stick to the treats intended for your pet. Summer officially begins June 20th. With the official start right around the corner Wishbone wants to remind you of some precautions...dogs love summer but please remember dogs get overheated too. 1. Dogs can get too hot even if the weather is as low as 80 degrees out. A good rule of thumb is if it's too hot for you to sit out for a long period of time it's too hot for them too. 2. Dogs need to be walked even if it's hot so schedule your outdoor exercise time for your dog early in the morning or late at night after the sun has gone down. 3. Dogs don't necessarily need a trim just because it's hot out. A dog's coat provides a buffer to help him regulate his body temperature. 4. Dogs should not be cooled down with ice, it can cause blood vessels to constrict. Instead use room temperature water to cool him off and if he'll lay in front of a fan (Wishbone will!) that's a good way to let him cool off too. 5. Dogs show signs of fatigue when their core temperature is getting too high. If you see your dog is slowing down let him rest and cool off. Spring is just around the corner. Every now and then we will see some nice days where the sun is shining. It makes us feel like experiencing the world again. For some, that may be a simple car ride to reacquaint ourselves with the great outdoors. As you prepare to head out the door, there's a sudden tug on your jacket, pulling you back into the house. Sure enough, "Fido" is telling you he wants to ride "shot-gun"! Before you know it, he is already out the door past you, and headed toward the co-pilot seat. A bit of fresh air is guaranteed to revitalize both of your souls. Just make sure "Fido" does not get too much fresh air. Although we have seen it many times driving down the road, keep your dog's head inside the car window. Dogs can be injured by flying debris. Insects can cause major inner ear and lung infections. If not detected, these infections can lead to serious illness or death. With that said, go enjoy that car ride; feel the breeze of fresh air. Just make sure you protect yourself and your companion. You don't want to be the one in the "dog house"! Just because we haven't seen much snow yet this season, doesn't mean we shouldn't be prepared. It is coming folks, so please protect our paws! Our feet (aka: paws) need protection from the elements too. If our pads get dry, cracked or injured, it is bad news for us and you! Many dangers from snow, ice and chemicals (used in salts) can be toxic. We can get frostbite, chemical burns and cuts. Don't fret though, solutions are available. You can protect our pads with a variety of balms made for dogs: Vasoline and doggie boots. Make sure our fur is groomed appropriately so "snow balls" can't get stuck between the pads. Follow the manufacturer's guidelines for boots so they stay securely on our feet. If you prefer the balm, just be sure to wipe our feet thoroughly before you give us the run of the house. We don't want to be the reason there's a dirty floor. Healthy Paws mean a Happy Dog! Bringing a new pet into the home. 1. Put a cozy bed for your pet in every room. 2. Provide plenty of "legal" things for your dog to chew. 3. If possible, avoid vertical blinds, pooling drapery, ornate tassels and long cords that can become strangulation hazards. Choose Wisely: Remember if there are young children in the house, a puppy may not be your best bet. A medium sized dog over five months of age would be a better choice. Don't make a hasty decision when choosing a pet. Spend a little time researching what type of pet (read 'dog' per Wishbone) would be best for you and your home. A little extra research and thought now can make all the difference for a successful adoption! **Read this excerpt from an article by Pet MD! It's important! And when you're done visit their website to see a very informative and interesting chart that tells you the amounts of Theobromine in the different types of chocolate and candy that are commonly found in every home (and Easter basket). "Chocolate contains substances known as methylxanthines (specifically caffeine and theobromine), which dogs are far more sensitive to than people. Different types of chocolate contain varying amounts of methylxanthines. In general, though, the darker and more bitter the chocolate the greater the danger. For instance, 8 ounces (a 1/2 pound) of milk chocolate may sicken a 50-pound dog, whereas a dog of the same size can be poisoned by as little as 1 ounce of Baker's chocolate!" Treat us. Treat us regularly and often. BUT NOT WITH CHOCOLATE. -Wishbone Salmon. In a bowl, combine baking soda and water. Mix well until it forms a paste. Apply mixture to affected areas and scrub well with your bathroom scrubber. Rinse the area that you have cleaned with water. If a white residue remains, use the vinegar. 1. Focus your efforts on family fun, food, laughter, love. Christmas memories and traditions will carry through the years but the gifts you give and receive are quickly forgotten. 2. Don't allow the pressures of the holiday season to overwhelm you. Christmas is not a test, there is no pass or fail. Don't think you have to do everything or compete with others. The more relaxed you are the more enjoyable (for you and everyone around you) the holiday season will be. 3. Replace an expectation that feels like a burden with an act that will make you feel good. If you hate writing Christmas cards then don't. Instead why not bake cookies and take them to an elderly neighbor? Don't fall into the frame of mind that you must do something simply because you always have. Do what keeps the Christmas spirit alive for you and those around you instead. #1- Use a cookie cutter and a mallot rather than a knife. Besides being much safer there are some greatcanine shaped cookie cutters out there. #2 - Wrap the pumpkin in gauze and glue a couple googly eyes on. Instant mummy pumpkin, not exactly human or canine...will please all. #3 - Raid the kids toy box and stick Mr. Potato Head pieces in the pumpkin. Pumpkin/Potato what's the difference? Nobody expects him to look normal anyway. Soften the glue. Try spraying hot water on the wall before scraping. If this doesn't work well try a mixture of half hot water and half liquid fabric softener. In a worse case scenerio you may have to rent a steamer. Score the wall with a tool that will make perforations in the paper and paint which will let the moisture reach the glue better. If the plaster is damaged spackle and sand. Prime. Use a good quality oil-based primer to cover any spots or glue residue left on the wall. You can even tint it the color of your final coat for better coverage. Different beaches (and states) have different colored flags and assigned meanings, so be sure to ask the lifeguard if you're not sure what the flags signify. Pick a swimming spot close to a lifeguard. There may be things you don't realize about the water in other areas of the beach so trust that the lifeguards are put where they are for a reason. Save the tall cool summer drinks for after the beach. Alcohol affects judgment, that's bad enough, but it can also dehydrate you increasing the likelihood of heat-related sicknesses. Avoid the beach if there's lightning in the forecast and wait at least 30 minutes after the last thunder boom before heading back out to the sand. 1. Turn your thermostat down a few degrees before heading to bed. Most people sleep better when their surroundings are cool. 2. Be cautious about taking an over-the-counter painkiller before bed. Some of them, like Excedrin, contain caffeine. 3. Wake up at the same time each day, no matter how little sleep you got the night before. 4. Have a slice of turkey or chicken, or a banana before heading to bed. These foods contain tryptophan, an amino acid that's used to make serotonin. And serotonin is a brain chemical that helps you sleep. Wishbone has decided to revisit one of his favorite household tip products...baking soda. The reason? Who knows. This is Wishbone we're talking about, he thinks he's a person, do you really want to know the thought process behind what he does? 1. Clean your drains by pouring half a cup of baking soda down the drain followed by a cup of vinegar and then boiling water to wash it all away. 2. To remove scuff marks from the floor sprinkle with baking soda and then wipe with a warm, damp cloth. 3. To remove scents from a carpet just sprinkle with baking soda, wait about 15 minutes and then vacuum. 1. Add a half cup of baking soda into your bath water to make your skin softer and smoother. 2. Mix one tablespoon of baking soda with 2-3 tablespoons of water, gently massage it into your face and then rinse for softer smoother skin. 3. To remove residue and buildup in your hair mix 1 tablespoon of baking soda with 1 tablespoon of shampoo, wash and rinse as normal. Don’t let your dog chew or swallow fallen Christmas tree needles. They are not digestible and can be mildly toxic depending upon your dog’s size and how much he or she ingests. The fir tree oils can irritate your dog’s mouth and stomach and cause her to vomit or drool excessively. Tree needles also can obstruct or puncture a dogs gastrointestinal tract. Tree water can poison your dog. Preservatives, pesticides, fertilizers and other agents, such as aspirin, are commonly added to tree water to keep the tree fresh. Treated water can be harmful to a thirsty dog, use a covered tree water dish to be safe. Don’t trim your tree with tinsel. If swallowed, it can block your dog's intestines causing decreased appetite, vomiting, diarrhea, lethargy and weight loss. Surgery is often necessary to remove the tinsel. Be extra vigilant if you use an artificial tree. Small pieces of plastic or aluminum can break off and cause an intestinal blockage or mouth irritation if ingested by your dog. 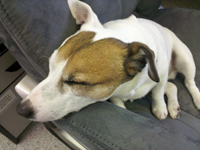 Wishbone's Tips for Overcoming Procrastination in the Workplace. 1. MOVE - When we walk we breathe more deeply and our blood gets more oxygen in it. More oxygen in blood = more blood flows into the brain = more work done. 2. TAKE A BREAK - Sometimes all it takes is a quick break to clear the mind. Get up, do something else for a minute and come back to it, things often look clearer when you walk away and then come back. 3. MAKE A SCHEDULE - Schedule set times for the things that you do that distract you from the real work that has to be done. For example only check emails at certain times during the day. 4. STAY ORGANIZED - Don't get lost in stacks of paperwork, throw away what you don't need and organize what you do need. It's much easier to get a task done when you know where to find everything you need. 5. WIPE THE SLATE CLEAN - Sometimes wiping the slate clean and starting fresh can help you recharge your battery. If a project is at a dead halt it might be better to just start fresh. Topic of the Month: How to Bring Cats and Dogs Together. 1. Gradual awareness allows them to slowly get familiar with each other. 2. Let the animals set the pace and don't force them to be together. 3. Speak softly to both animals. 4. Spend quality time with each in separate places. 5. Offer a separate refuge for the initial getting to know each other stage. W - Upholstery can be cleaned with water. S - Upholstery can be cleaned with a solvent. SW - Upholstery can be cleaned with either a solvent or water. X - Upholstery must be either dry-cleaned or professional cleaned. Be sure your dog has a sturdy collar with home address and telephone number on a tag. Bring your pet's own food. This is not time to test his digestion! Don't let your dog hang out the window, (many dogs are injured by road debris or insects). Bring a dish and bottled water and make frequent stops. NEVER leave your dog (or any pet or child) alone in the car!!! Brush your dogs fur before wetting him and to loosen sticky snarls put a drop of baby oil on the sticky spot. Place a cotton ball in each of his ears. Soak him down using a shower nozzle, a hose adapter, or a plastic pitcher. Work a dab of dog shampoo into his coat, starting behind the ears. Wipe his face with a damp cloth. Have only one ball in play at a time to minimize the risk that your dog will pick up more than one and get the furthermost ball lodged back in the throat. Rubber balls, if not big enough, can get slimy when wet and lodge in the back of the dog's throat or jaws. Balls with holes in them can catch their tongues if the holes are too big. Balls with slippery outer coatings such as racquet balls or golf balls can be an especially potent choking hazard. Golf balls poise an additional danger because the liquid inside is often toxic; your dog can become very sick if he or she manages to pierce the outer coating with her teeth. Wishbone's favorite tip for Earth Day...PLANT A TREE! Container trees can be stored for a brief period of time after purchase as long as the soil in the container is kept moist and the tree stored in a shady spot. Trees should be transplanted no deeper than the soil in which they were originally grown. The width of the hole should be at least 3 times the diameter of the root ball or container. When digging the hole raise the center of the bottom slightly higher than the surrounding area to allow water to disperse. Balled and burlapped should always be lifted by the ball, never by the trunk. For Bare-Rooted Trees make sure that the roots are kept moist between purchase and planting and prune any broken or damaged roots. A dirty air filter can increase your energy costs and lead to early equipment failure. Clean or change the air filter in your heating and cooling system monthly. Some filters only need to be changed every 3 months. Also, have your equipment checked seasonally to make sure it's operating efficiently and safely, check-ups can identify problems early. Dirt and neglect are the #1 causes of system failure. Hidden gaps and cracks in a home can add up to as much airflow as an open window. The more heat that escapes, the more cold air enters, causing your system to work harder and use more energy. Home Sealing can improve your home "envelope" the outer walls, ceiling, windows and floors, and can save up to 10 percent in energy costs. Start by sealing air leaks and adding insulation, pay special attention to your attic and basement, where the biggest gaps and cracks are often found. If replacing windows, choose ENERGY STAR qualified ones. If you have a forced air furnace or heat pump, then a duct system is responsible for circulating warm air throughout your home. Leaky ducts can reduce your system's overall efficiency by 20 percent. Sealing your ducts can save up to $140 annually on energy bills and help you consistently heat every room. If you're replacing old equipment, make sure your new equipment is properly sized for your home - bigger isn't always better. An oversized system will cost more to buy and operate and will cycle on and off too frequently, reducing your comfort and leading to early system failures and repair costs. Correct size and proper airflow will ensure that your equipment works efficiently, saves you money, and helps protect our environment. If your heating equipment has been poorly maintained and is 15 years or older, it's probably time for a more efficient replacement. Ask for an ENERGY STAR when buying the following equipment: Furnaces, Heat Pumps, Boilers and Programmable Thermostats. 12. NO TINSEL! Tinsel looks delicious but if swallowed it can do AWFUL things to the intestines. 11. KEEP CANDLES OUT OF REACH! A candle and a dog's wagging tail is a fur burning odor waiting to happen. 10. KEEP PLANTS OUT OF REACH! Especially holly, mistletoe, poinsettias and lilies. 9. BAN SNOWGLOBES FROM THE HOUSE! Many snow globes contain antifreeze which is poisonous to pets. 8. KEEP PINE NEEDLES CLEANED UP! Pine needles (real and artificial) can puncture holes in a pet's intestine. 7. DON'T USE ASPIRIN IN THE TREE WATER! This can be very dangerous to a pet if it drinks from the tree water. 6. ANCHOR THE TREE! Prevent the tree from being accidently pulled over by a curious pet. 4. NO RIBBONS OR BOWS ON COLLARS! These cute adornments put your pet at risk of choking or strangulation. 3. NO FOOD ORNAMENTS! These could tempt even the best behaved pet. 2. IF YOU'RE NOT SURE DON'T FEED IT TO THEM! Many holiday treats (like chocolate) are dangerous to pets. 1. DON'T PUT WRAPPED PET TREATS UNDER THE TREE. Wait until you are ready for your pet to have the treat. Add a pinch of baking soda to baked beans as they're cooking to reduce the...the...ruff time later. Rub a tough piece of meat with baking soda and let it sit in the fridge for about three hours and rinse before cooking. Mix 4 tablespoons of baking soda with 1 cup of water and soak cotton balls then apply to sunburns or skin irritations. For poison ivy itch relief Mix 3 tablespoons of baking soda with 1 teaspoon of water and apply paste to affected areas. To clean the grill mix 1/4 cup baking soda and 1/4 cup water, apply the paste to the grill and let sit for about 15 minutes. Wipe down with a dry cloth and then heat the grill for about 15 minutes prior to cooking on it. To tighten cane chair seats that are starting to sag soak two cloths in a solution of 1/2 cup baking soda and 1 quart hot water. Saturate the top surface of the caning with one while pushing the second up against the bottom of the caning to saturate the underside. Use a clean cloth to soak up excess moisture, then put the chair in the sun to dry. To remove tar from the paint surface of your car make a paste of 3 parts baking soda to 1 part water and apply to the tar spots with a damp cloth. Let it dry about five minutes then rinse clean. To clean washable air conditioner filters vacume as much off as possible then wash in a solution of 1 tablespoon baking soda and 1 quart water. Let the filters dry completely before replacing. To eliminate musty odors from a humidifier add 2 tablespoons baking soda to the water each time you change it. Keep weeds and grass from growing in the cracks of paved patios, driveways, and walkways. Sprinkle handfuls of baking soda onto the concrete and sweep it into the cracks. The added sodium will make it much less hospitable to dandelions and other weeds. Clean resin lawn furniture with a wet sponge dipped in baking soda, wipe in a circular motion and then rinse well. This won't scratch or dull surfaces like abrasive commercial cleaners often do. Alkaline-loving plants like clematis, delphiniums and dianthus will have fuller healthier blooms if you occasionally "shower" them with a mild solution of 1 tablespoon baking soda in 2 quarts of water. Scour barbecue grills with a soft paste of 1/4 cup baking soda and 1/4 cup water. Apply this paste with a wire brush and let dry for 15 minutes then wipe down with a dry cloth and place the grill over hot coals for another 15 minutes. Freshen Wishbone's...er...uh...Rover's fur by rubbing a few handfuls of baking soda into his coat and then give it a thorough brushing, this will remove any smell and will leave his coat shiny and clean. Everyone has a roll of duct tape laying around their house somewhere right? It's one of those household necessities that you should never find yourself without. Why? Well do you really know all the uses for duct tape? The following uses are not necessarily recommendations!! In 1953 Norm Larsen founded the Rocket Chemical Company in San Diego and, with two employees, set out to develop a rust-preventing solvent and degreaser for the aerospace industry. On the fortieth try, they succeeded in creating a "water displacement" compound. The name WD-40 stands for "Water Displacement - 40th Try". 1. Spray WD-40 on new leather shoes before you start wearing them regularly, this will prevent blisters by softening the leather and making the shoes more comfortable. 2. Keep shoes waterproof and shiny by spraying them periodically with WD-40 and buffing gently with a soft cloth. 3. Squeeky shoes? Spray WD-40 at the spot where the sole and heel join and those squeaks will disappear! 4. Remove glue from your fingers just spray some WD-40 directly on your sticky fingers and rub your hands together until your fingers are no longer sticky. 5. WD-40 removes unwanted glue from many surfaces, just spray on and rub until it loosens and cleans away. 6. Spray on stubborn zippers and then pull the zipper up and down a few times to distribute the lubricant. 7. Rub on the wooden handles of tools, this will shield the wood from moisture and prolong the handle's life. 8. Chewing gum in someone's hair? No problem, spray WD-40 on it and the gum will comb out with ease. 9. Spray on and easily remove tar and scuff marks on your hard-surfaced floors. 10. Clean dried glue from virtually any surface, simply spray on, wait about 30 seconds, and wipe clean. 11. Hands covered with grease and grime from working on the car? Just spray a small amount of WD-40 and rub together for a few seconds, then wipe with a paper towel and wash with soap and water. It will wash right away! 12. Remove old decals and stickers by spraying with WD-40, wait about 30 seconds, and wipe them away! 13. Tea stains on your countertop? Just spray a little WD-40 on a damp sponge and wipe the stain away! 14. Spray a little WD-40 on carpet stains, wait a minute or two, and then use your regular carpet cleaner or soap and water. Continue until the stain disappears! 15. The solvents in WD-40 will clean the lime and "gunk" stains from your toilet bowl, just spray it into the bowl and let it set for just a couple seconds then clean with a toilet brush! 16. To make an old barbecue grill look new again spray it liberally with WD-40, wait a few seconds and then scrub it with a wire brush. 17. Bring color and shine back to faded plastic patio furniture by spraying WD-40 directly on the surface and then wiping with a clean dry cloth. 18. To keep squirrels from taking over a bird feeder, spray a generous amount of WD-40 on top of the feeder. The squirrels won't be able to get a firm grip to stay and feed. 19. Spray some WD-40 under all the eaves of your house and it will keep the wasps from building nests there. 20. Spray WD-40 on prickly weeds like bull and Russian thistle and they will wither and die. 21. Keep dead bugs off the car grille by spraying it with WD-40, less bugs will stick to the grille and the few that do will easily wipe off. 22. To clean oil spots in the driveway just spray generously with WD-40 and then hose it down with water. 23. To loosen a tangled fishing line just spray it with WD-40 and use a pin to undo any small knots. 24. If your car won't start on a rainy or humid day try spraying the spark plug wires with WD-40 which displaces the water and keeps the moisture away from the plugs. 25. If your cat or dog comes home with burrs just spray some WD-40 on the area and the burrs will slide right out. A million cans of WD-40 are produced each week in the United States alone! Wishbone is thinking about lemons! WISHBONE: Is a lemon tree pretty? US: Sure it is! An orange tree is pretty so a lemon tree must be pretty. And it must smell great too! WISHBONE: NO! A lemon tree actually isn't very pretty and the flower isn't very sweet either. A lemon tree's straggly branches bear little resemblance to an orange tree's dense foliage, and its purplish flowers lack the pleasant fragrance of orange blossoms. US: Wow Wishbone you sure do know a lot about lemons! What else do you know? WISHBONE: I know that you can grow indoor lemon trees, which we dogs also refer to as indoor facilities. US: Okay Wishbone, enough of your wisdom, let's get back to the tips for the month! Lighten age spots: Apply lemon juice directly to the area, let sit for 15 minutes and then rinse your skin clean. Lemon juice is a safe and effective skin-lightening agent. Clean and whiten nails: Add the juice of 1/2 lemon to 1 cup warm water and soak your fingertips in the mixture for 5 minutes. After pushing back the cuticles, rub some lemon peel back and forth against the nail. Treat flaky dandruff: Massage 2 tablespoons lemon juice into your scalp and rinse with water. Then stir 1 teaspoon lemon juice into 1 cup water and rinse your hair in it. Repeat this daily until your dandruff disappears. No more itchy scalp, and your hair will smell lemon-fresh! USES FOR LEMON JUICE: To get the most out of fresh lemons bring them to room temperature and roll them under your palm against kitchen counter before squeezing to break down the connective tissue and release more liquid. 1. Give your kitchen the lemon treatment to keep the ants away, squirt some lemon juice on door thresholds, windowsills, and anywhere the ants are getting in. 2. Clean the inside of your microwave by mixing 3 tablespoons of lemon juice into 1 1/2 cups water and microwave on high for 5 to 10 minutes then just wipe away hardened foods. 3. Underarm stains can be removed by scrubbing them with a mixture of equal parts of lemon juice and water. 4. Add to your wash water as a fabric whitener to get your clothes white and smelling lemon-fresh. 5. To neutralize cat box odor cut a couple of lemons in half, place the lemons cut side up in a dish in the room. 6. Hot lemon juice with baking soda is a good drain cleaner that is safe to use! 7. Throw some lemon peel in a garbage disposal from time to time while it's running to keep it smelling fresh! 8. For a quick window cleaner just add 4 tablespoons of lemon juice mixed with a half gallon of water! 9. For a quick furniture polish add 2 parts olive oil or cooking oil mixed with 1 part lemon juice! 10. To remove soft cheese or sticky foods from a grater cut a lemon in half and rub the pulpy side along both sides of the cheese grater, the acidity of the lemon will also ward off rusting. 11. To eliminate fireplace odor throw a few lemon peels into the flames and the unpleasant odors will quickly be replaced with a nice lemon scent. 12. To freshen and moisturize your home on those dry winter days just simmer water with added lemon or lemon peels. 13. To deodorize a humidifier pour 3 or 4 teaspoons of lemon juice into the water, this should last a couple weeks and can be repeated as necessary. 14. To freshen a fridge simply dab lemon juice on a cotton ball or sponge which can be left in the fridge for several days. 15. A kitchen cutting board can be rubbed with the cut side of a lemon or even washed in undiluted juice straight from the bottle to keep it clean and fresh! And did you know that Lemonade, when applied to potted plants, has been found to keep their flowers fresh longer than normal? **** One More Thing, and this isn't about lemons but it is about cleaning andVERY IMPORTANT! You always wipe your dryer filter after each load of clothes to get the lint off,,right? Well, occasionally, take it out and clean it in hot soapy water and scrub with a toothbrush, dryer sheets can put a film on your filter and clog it up, causing more stress on your dryer and can actually burn out the motor! Kitty Litter - pour kitty litter over the spill - allow time for the oil or grease to soak into the litter - sweep the kitty litter and stains away! Cola - pour cola over dark stains left by grease or oil spills - leave overnight - the following day rinse the area with soap and water and wash the cola and the stains away! Salt - pour salt over the spill - allow time for the oil or grease to soak into the salt - brush or sweep the salt and spill away! 10. Wipe jars of preserves and canned food with vinegar to prevent old-producing bacteria. 11.To eliminate mildew, dust and odors, wipe down walls with vinegar-soaked cloth. 19. To clear up respitory congestion, inhale a vapor mist from steaming pot containing water and several spoonfuls of vinegar. 30. Add a table spoon of vinegar to fruit gelatin to hold it firm. 32. Use vinegar instead of lemon on friend and broiled foods. 33. To remove lime coasting on your tea kettle; add vinegar to the water and let stand overnight. 34. To make a good liniment: beat 1 whole egg, add 1 cup vinegar and 2 cup turpentine. Blend. 36. Vinegar promotes skin health: rub on tired, sore, or swollen areas. 48. Poultry water: add vinegary to increase egg production and to produce tender meat. 55. Homemade sour cream: blend together 1 cup cottage cheese, ¼ cup skim milk and 1 tsp. vinegar. Do you have rust stains on your concrete patio from your outdoor metal furniture? Simply use lemon juice and rub with a soft cloth! Shine up those copper-bottom pans! Squeeze out the juice in a lemon, dip in salt and rub the bottom of the pan for a few minutes! Wrap some cotton w/a rubber band around it on your wrists. Bingo! the cotton will absorb the water drippings! Wishbone,,,Better be a raise in my paycheck, or I may leave a surprise in someone's slipper!